Last December I posted several postcards featuring cars on beaches. (Cars on Beaches). Here’s another one. 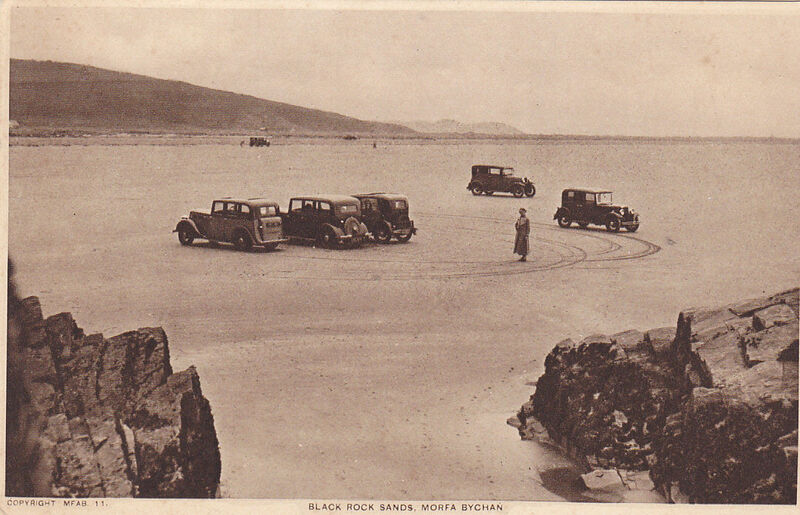 Black Rock Sands, Morfa Bychan in North Wales. The lady looks a little bemused. Where has everyone gone? Somehow it reminds me of a scene from the film No Country for Old Men after a drug deal goes wrong.